I have used Megan as our photographer since my baby girl, Brynlee, was less than 10 days old(she is now 13 months old)! She has went out of her way with each session and we are never anything less than AMAZED with her beautiful work. She has captured so many wonderful memories of my family & I. I will be anxiously waiting for Camera Moms to be released! I’m anxiously awaiting the release of Camera Moms! From maternity to the first year, Megan has made special memories for me to cherish forever of my son Cohen. Her work is amazing and she is so good with children. She is a wonderful photographer and we recommend her to anybody! You know those pictures of newborns and children that you see in a magazine or on a website, and you wish you could have someone capture your child(ren) in an image just like that? Those are the kinds of pictures Megan produces over and over again! I can’t wait for the release of Camera Moms so that I can literally learn from a pro! Megan is an awesome photographer. She goes above and beyond to make sure your portraits are wonderful, from planning the location to the clothes you will wear. I had an opportunity to take a mommy camera class with her and it was wonderful. I learned so much. I can not wait to see what is in store for this book!! I can not wait for the release of Camera Moms! Megan is a fantastic photographer with awesome and creative ideas. 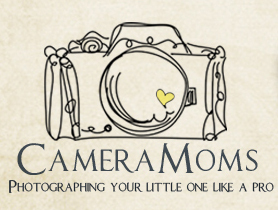 She does all of our photographs, from family portraits to birthday invitations and everything in between. We are patiently awaiting the arrival of the newest addition to our family, and we can’t wait to begin the newborn sessions. The amount of knowledge, creativity, and insight she has about photography is unbelievable, and I am anxious to learn from her! I could also see you offering something like this with your marketing skills such as blogging, website ideas, networking, using/setting up facebook the way you have yours. You are so talented and full of enthusiasm which is contagious! I love your photography work but I also adore your marketing skills 😉 God is using you in such a wonderful way.